It is unfortunate that policies otherwise deemed middle of the road and social democratic tend to be seen in Britain as offspring of a lunatic mother long held in indefinite detention at Her Majesty’s Pleasure. 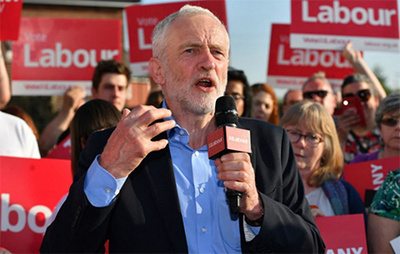 But such is the nature of the current electioneering round, which has seen a source, most likely a disgruntled Labour hack, leak the manifesto of Jeremy Corbyn’s party ahead of its debate by the National Executive Committee. While Tory sharp shooters are already readying their weapons, the revelations, in of themselves, reveal a range of policies that many voters will find appealing. What it does is overturn any vestiges of New Labour market optimism, outlining a program that goes back to a pre-Thatcher era where governments and social welfare were considered inseparable. All in all, this is Corbyn’s document. Specific areas of the market will be brought back within the state orbit. According to the document, a Labour government would have a publicly-owned energy supplier in every region of the country. The government would maintain and control the transmission and distribution grids. This is also accompanied by what is said to be an immediate “emergency price cap” on energy bills to keep the average duel household fuel bill below £1,000 a year. Interventions in the market in dramatic fashion are also proposed with plans for nationalising the railways and the Royal Mail, measures that are already seeing a lady famous for declaring she was not for turning jolt with startled horror in her grave. Corbyn, in a manner deemed admirable and suicidal in equal measure, has firmly stated that he would never use the weapon if asked to push the trigger. The nature of nuclear weapons is such that he may never be asked to consider the problem in any case. But Foreign Secretary Boris Johnson has still insinuated with sinister import that Corbyn was far from being a “benign Islingtonian herbivore”. Unsurprisingly, the manifesto is heavy on its social improvement agenda, alleviating the plight of rough sleepers (4,000 reserve homes to be supplied), increasing construction of council and housing association houses – up 100,000; and generally going strong on the side of education (a phased abolition of tuition fees). There are big portions to be handed out on the care and medical front (together totalling almost £8 billion), and a strong focus on trade union rights with the repeal of Trade Union Act. Given the tenor of the document, corporations are the designated villains of the peace. With the private sector having shown itself to be inadequate in the provision of decent services, and such sweet favours from the Tories as persistent cuts in the corporation tax rate since 2010, it is time to give back. A levy is also on the books for firms “with high numbers of staff on very high pay”. So, enterprising political anorak Chris decided to go ahead collating the facts, suggesting that the “good” people had simply missed the point about their dear cardigan loving leader. A lengthy list of accusations and observations follow, a spiky list suggesting, amongst others, Corbyn’s love of the Russians (always a danger for the patriotic Brit); his tendency to dislike Zionists yet prefer other extremists; and the sense that the Falkland Islands (or Malvinas) should be shared with Argentina. In the unlikely event that Corbyn can weather this storm, win over Scotland, and neutralise the conservative momentum, Britain will witness another sharp twist in the annals of populism. May, however, is padding and bricking up her case for an electorate she already claims to have bagged.